Is the Elizabethan collar really necessary? Read on. Major surgery is a major deal. It can be a bit overwelming bringing an animal home to care for post-operatively. You've been through numerous discussions with your vet and made the big decisions about going to surgery, and now you're bringing the patient home. What should you look out for? What should I find out from my vet? 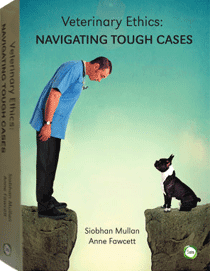 How the wound was closed and what wound-care is required. If there are drains present, do these need to be flushed or cleaned? Is some discharge normal? If there are sutures or staples present, when should these be removed? What you should feed your animal. If your pet has had gastrointestinal or urinary tract surgery, a special diet might be required. What should you feed your pet, and what should you avoid? Make sure you pass this information on to all household members. What medications do I need to give? In some cases no medication is required, in other cases multiple medications are required. Ask your vet what each medication is for and when you need to give it. Double check the label. What are the potential side effects (for example, non-steroidal anti-inflammatory drugs may cause vomiting, diarrhoea, inappetence or haemorrhage) and what should you do if these occur? What sort of monitoring is required? For example, can you leave your pet home alone for extended periods or should you make arrangements so that they are not left alone for too long. Example of a medication chart. You can whip one of these up using the table function in Word or if you are a spreadsheet junkie you can put together something very fancy in Excel. How long does an anaesthetic take to wear off? In most cases the anaesthetic itself is worn off before the patient is sent home, however some animals will be drowsy for a little longer due to extended pain relief, sedation or the fact that they’ve had major surgery and been to the vets. Most cats sleep more during the week following surgery. However, being groggy or tired may reflect discomfort or being generally unwell. Contact your vet to discuss if you have concerns. Normally there is a steady improvement from the first day at home to the second and third, with animals becoming brighter and more active. 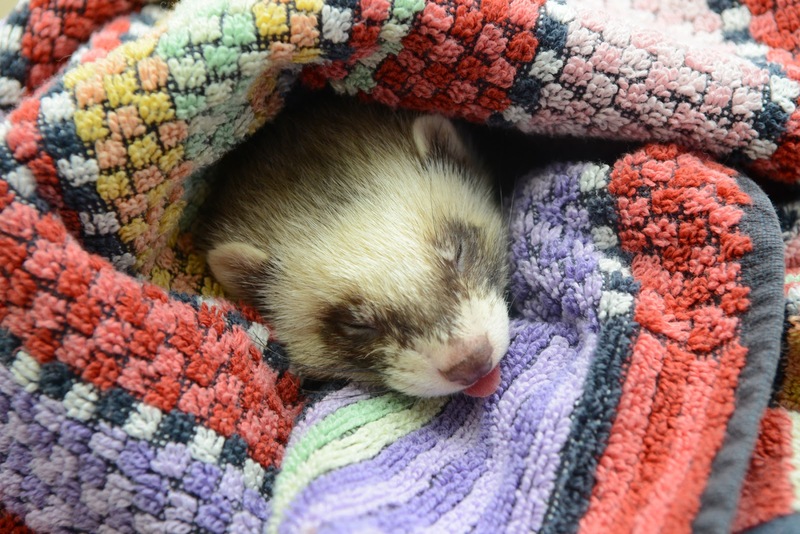 A ferret sleeps off anaesthetic. Where should I keep my pet? Ideally pets should be kept largely indoors, although in some cases this is not practical. In the case of feline patients, keeping indoors at night – when they are most likely to wander – and allowing supervised outdoor access can be a good compromise. A clean litter tray should be available at all times. Dogs generally need regular toilet walks (4x per day) but in some cases will need to be carried outside and carried back in (for example, if strictly confined). Provide a clean, soft, warm bed. When you do reintroduce exercise/outdoor activity, go slowly. No Ultimate Frisbee. Just nice gentle lead walks to start with. Don't go crazy with vigorous post-op activities. Slow it down! If the ears are flapping in the breeze, you're going too fast. Gentle lead walks are better. Should I feed my pet? Absolutely, but the diet may vary depending on the condition. For example, a prescription diet may be recommended in cases of kidney, urinary tract, liver or gastrointestinal disease. It can take a little while for dogs and cats to eat post-operatively, but they should be eating within 24 hours of coming home. Rabbits and guinea pigs should be eating the same day. In my experience these guys can be quite fussy so offering their favourite vegies or herbs is a good idea. 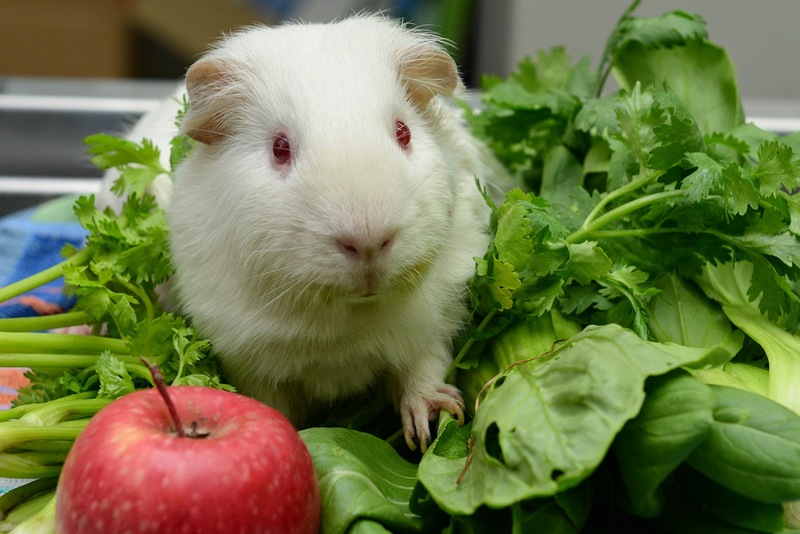 Parsley, bok choy, fennel tops, basil, coriander, apple and celery tops are popular with rabbits and guinea pigs. And always offer fresh water. Cats can be a bit reluctant to drink. One thing I've found works well is topping up the bowl right to the VERY edge. This is done by filling the bowl with a jug so you don't have to move it afterwards. I’ve been asked to monitor the wound. What does that involve? Any bandages or dressings are in place - if not, talk to your vet. In most cases it is better for a vet or nurse to change these, as bandage related injuries are common and can be life-threatening. For example, a bandage that is too tight can cut off the circulation to a part of the body. An infected wound. The swelling is hard to appreciate but note the redness and discharge as well as pus. The hole is a site where a drain was removed from. This wound requires immediate attention. Your pet removes sutures or staples and opens the wound. Normally wounds are closed in several layers, and some wounds may heal by secondary intention (that is, without closure or as an open wound) – but if a wound was closed one moment then open the next, contact your vet. 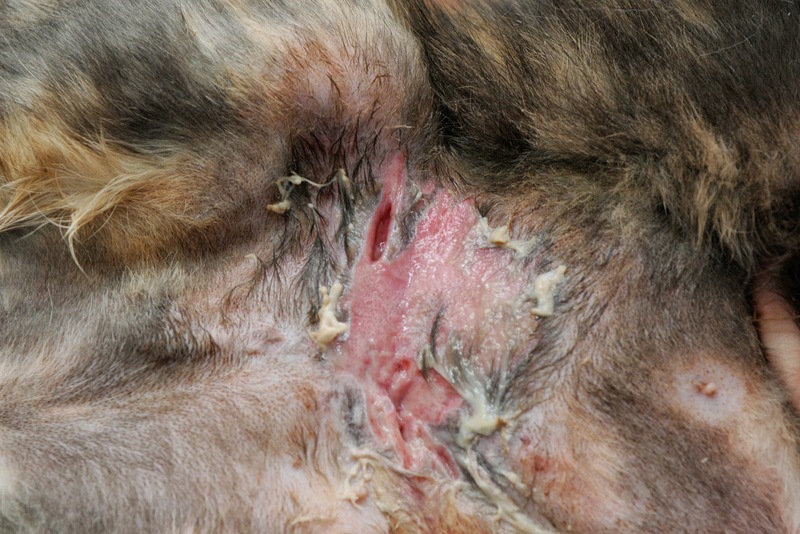 Seroma – this is a fluid filled swelling at the wound site, usually due to movement (for example, kittens may develop seromas at the surgical site following desexing, as they tend to be very bad at obeying the instruction to stay quiet). Seromas are sterile but may predispose to infection by providing a medium that bacteria enjoy living in. They may need to be drained. Abscess – this is a local infection or pocket of pus associated with the wound and indicates infection which must be treated. Failure to heal – this can be due to patient factors (e.g. running around like a maniac after surgery, self-trauma from licking the wound) or medical reasons (underlying metabolic disease, infection, cancer and so on). If you are concerned about the wound, it is better to see your vet sooner rather than later. My pet has had major surgery. How long should he/she be confined? The answer depends to some extent on the type of surgery. For orthopaedic surgery, extended periods of cage rest may be required (6 to 8 or even 12 weeks). For major abdominal surgery, confinement to an area where your pet cannot jump, and short toilet walks, should be considered for at least 7 days, preferably until the sutures are removed (10-14 days). In some cases, medication may be required to provide sedation and/or reduce anxiety associated with confinement. 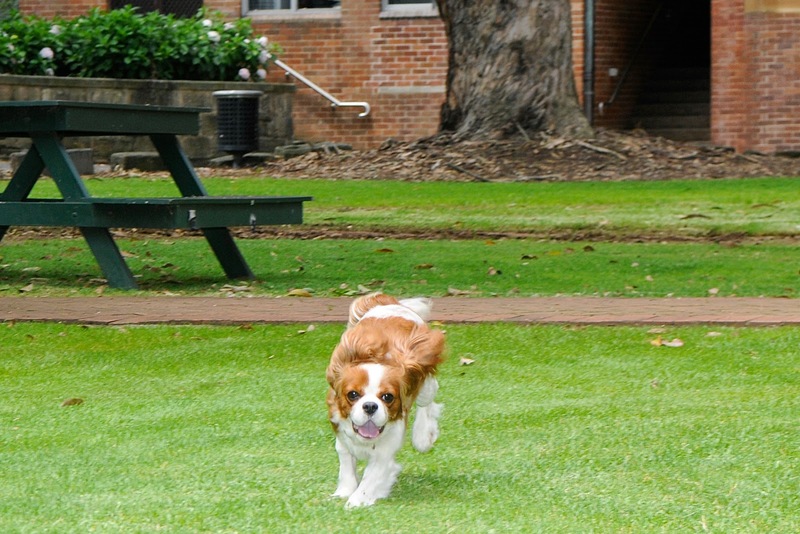 Make sure you interact with your pet regularly and consider enriching the environment. This may involve anything from spending more time with your pet or having someone come and sit with them for a while, to providing an indoor garden for cats (cat nip, cat mint and cat grass), to using synthetic pheromone diffusers (feline facial pheromone for cats or dog appeasing pheromone for dogs), to chew toys or cardboard incline scratchers. 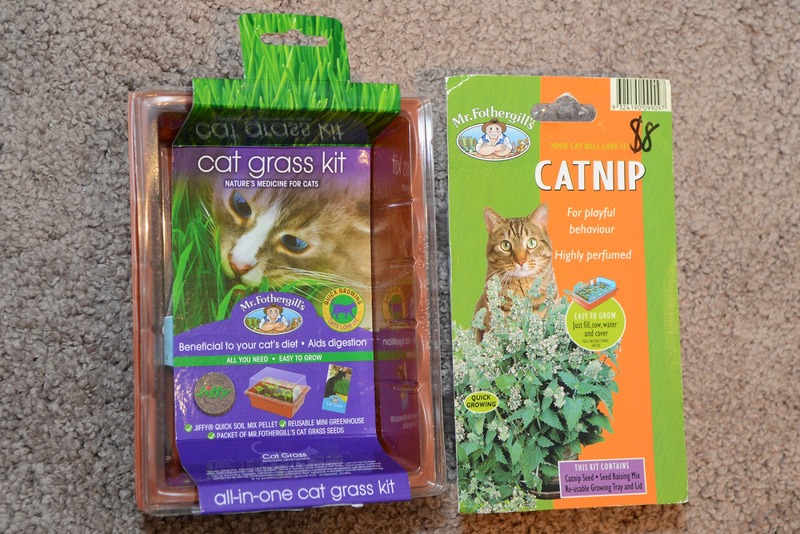 Cat grass, cat nip and (not pictured) cat mint are available ready-grown from most nurseries, or you can buy kits like these. Does my pet really need to wear the cone of shame? 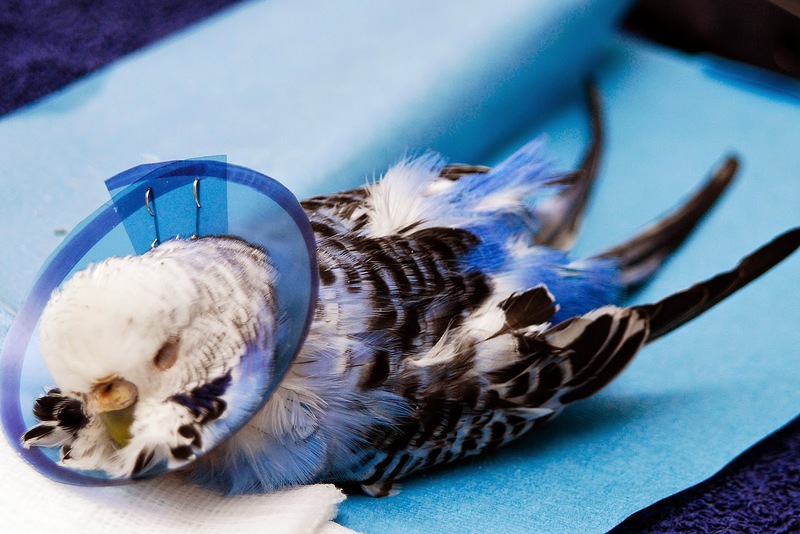 A budgie recovers from general anaesthesia with a custom made Elizabethan collar. This patient had a tumour removed. The cone of shame, formally known as the Elizabethan collar, is used because it is the lesser of two evils. On the one hand, it’s annoying to your pet because it prevents them from grooming themselves, makes it a bit of a hassle to eat and get through doorways in a hurry, and means it’s harder to interact with humans and other animals. On the other hand it prevents self-trauma which may lead to infection, delayed wound healing, wound breakdown and in some cases the need for further surgery. Rearranging furniture to make it easier for your pet to navigate the house or yard while the collar is on. Fun fact: rabbits and guinea pigs should NOT wear Elizabethan collars as these prevent them from eating some of their own faeces (caecotrophs) which are important for populating their gut with bacteria that help them digest food. Lack of caecotrophs can lead to a potentially fatal imbalance in gut bacteria (dysbiosis). 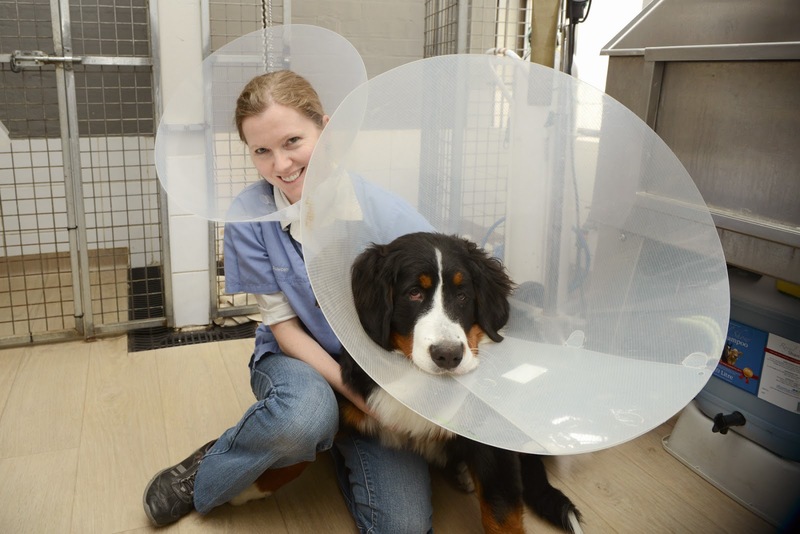 Pets should be monitored post-surgically to ensure they are making a full recovery. For major surgery, they should be monitored closely (several times a day) for the first week. In veterinary hospitals, we observe the patient’s behaviour as well as their eating, drinking, urination and defecation. Keeping a record of these can be very useful as it can give you an indication of whether your pet is improving, and also allow you to provide detailed information when updating your vet. An example of a home-care monitoring sheet is pasted below. This can be filled out and gives you a visual record of what has happened. Example of a cage card. Under excreations, D is for defecation, V is for vomit, U is for urine. In comments you might want to specify the volume or anything else about the patient. Diet is the food you provide and again, you may want to note how much is eaten. The drug doses on this chart are divided into am (in this hospital, meds were given at 8am), pm (5pm) and evening (10pm).